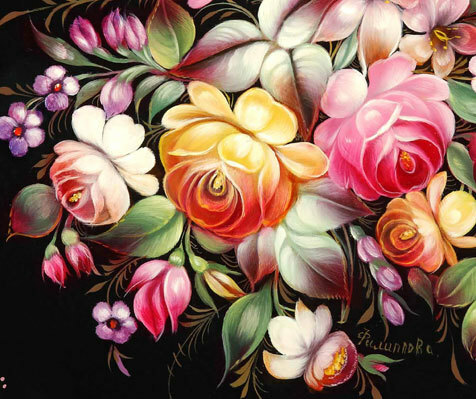 Tatyana was born in the Zhostovo village and attended the Fedoskino Miniature Art School. 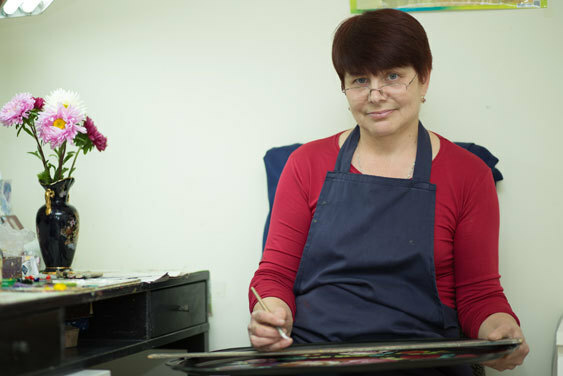 She has been working at our factory since 1979. 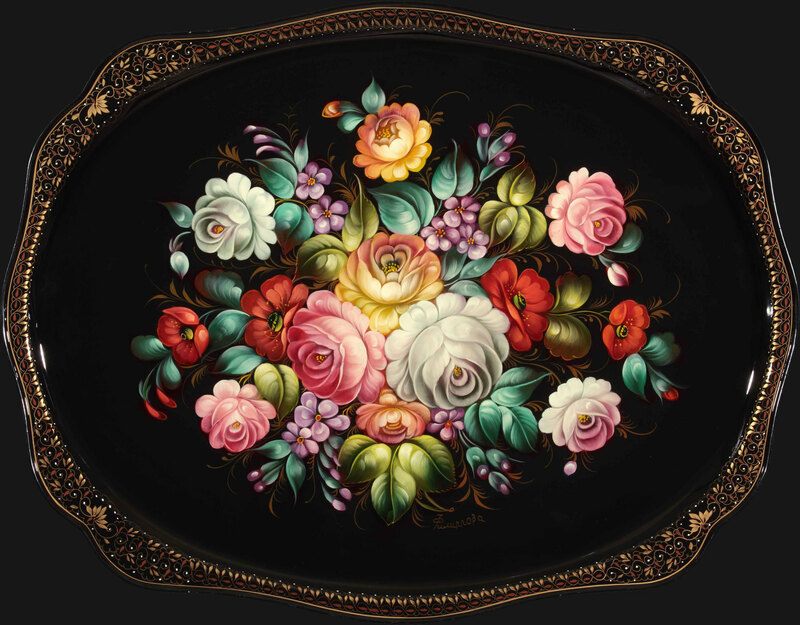 Tatyana artfully applies traditional Zhostovo techniques to decorate trays with various forms and compositions of flowers, leaves and buds. 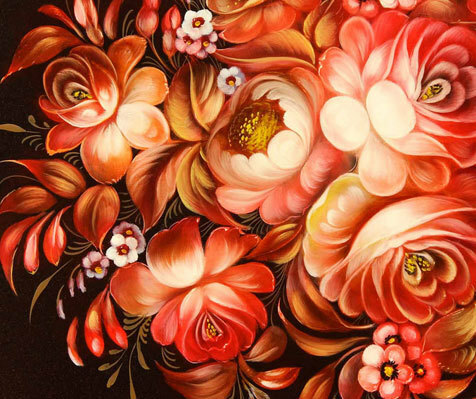 Thoroughly elaborated colour schemes create unique mood of each piece. 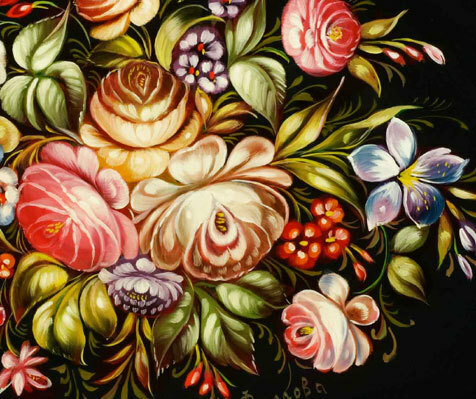 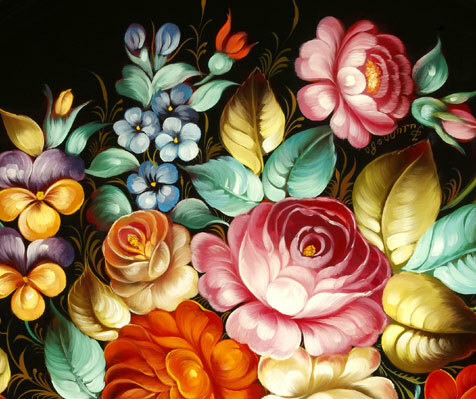 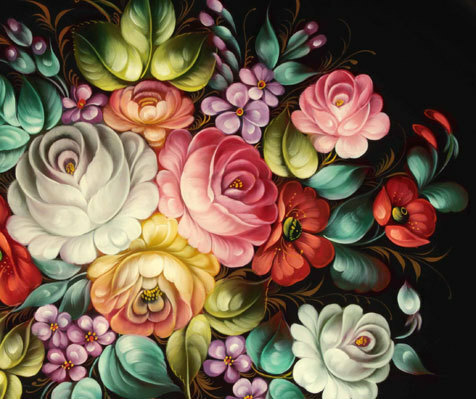 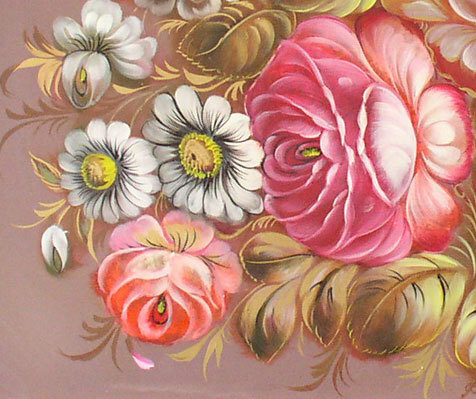 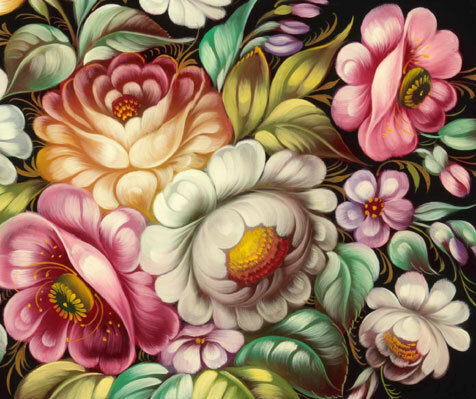 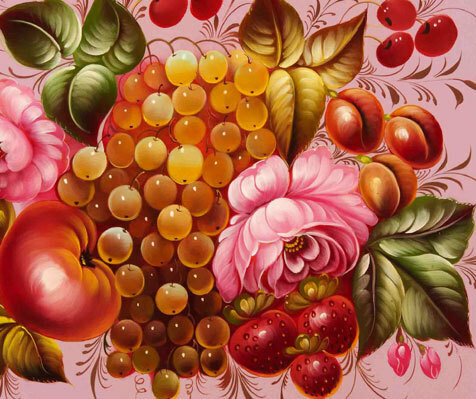 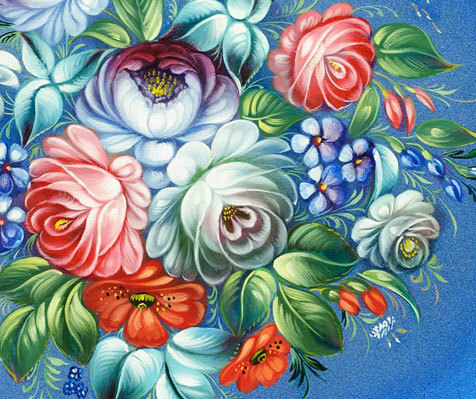 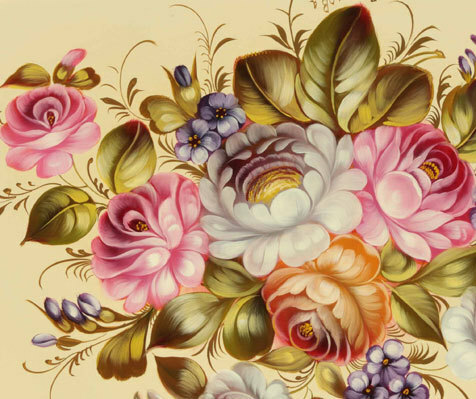 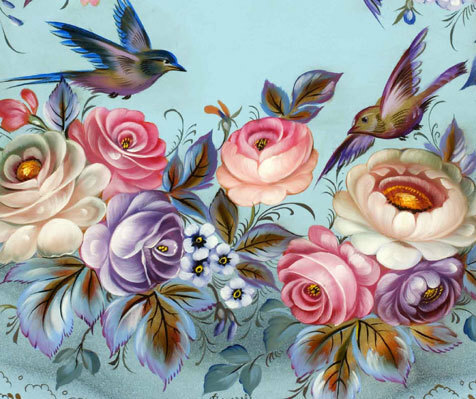 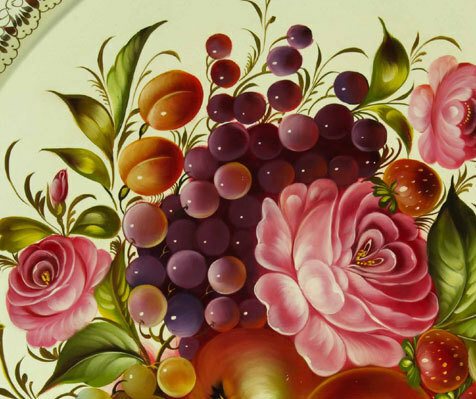 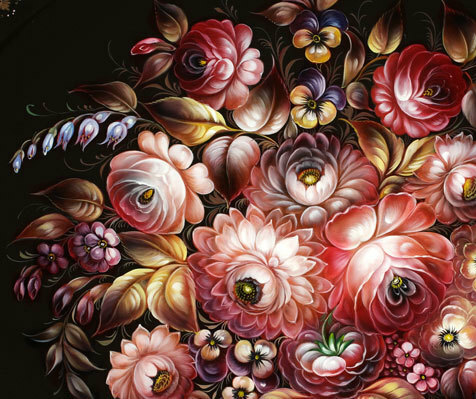 Tatyana is an excellent master of naturalistic decorative painting.